An ultra-flat design, small external dimensions of only 145 x 167 x 10 mm and the resulting compactness of the signature pad “Gamma” convinced the jury of experts of the German Design Award 2016. The reason: The LCD signature pad “Gamma” by signotec, technology leader from Ratingen, sets new standards in terms of design and functionality. For this reason, it has been awarded with the distinction “Special Mention” in the category “Computer and Communication”. 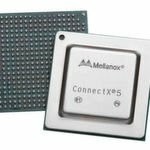 Increased market competition and the interchangeability of technical performances require that companies develop unique selling propositions in order to distinguish themselves from competitors and to satisfy specific customer demands. Innovation is the key to success of each company. However, unique selling propositions and success have to be communicated. This has recently been practised by signotec GmbH in participating in the competition German Design Award 2016, which emphasises once more the company’s competence considering electronic signature pads with patented technologies for signatures and safety standards. 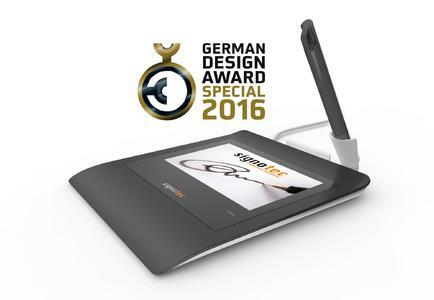 The jury of the German Design Award 2016 awarded the signature pad Gamma with the distinction “Special Mention” in the category “Computer and Communication”. The jury’s decision is based on the unbeatable compactness, design and functionality of the Gamma pad: small external dimensions, an elegantly curved shape and the successful combination of pen and penholder which tilts towards the user in a very convenient way. Other important factors are the innovative sensor surface made of specific hardened glass with ER- technology and the high-resolution full colour display which guarantee excellent quality and precision in capturing signatures on the pad. 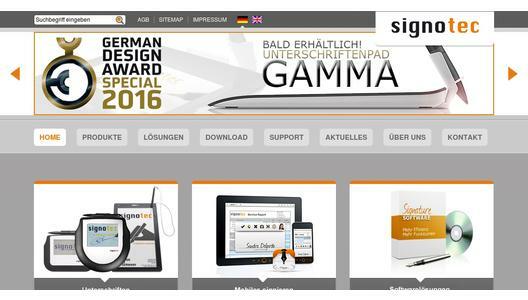 The signotec GmbH succeeded in convincing the jury with its elegantly designed Gamma pad and is very pleased about the distinction “Special Mention”. “We are extremely proud of our signature pad Gamma – it combines 15 years of development, extensive know-how and the label Made in Germany. We are therefore all the more delighted that its design has now been awarded”, explains Arne Brandes, CEO of signotec GmbH. The prize- giving ceremony will take place at the fairground in Frankfurt on February 12, 2016. 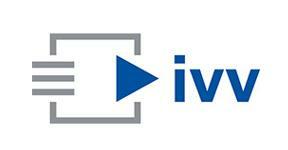 The German Design Award is the top international prize of the German Design Council. Its goal is to discover, present and honour unique design trends. Therefore, every year, top-quality submissions of product and communication design are rewarded, all of which are pioneering in their own way in the international design landscape. Launched in 2012, the German Design Award is one of the most well-respected design competitions in the world and enjoys a high reputation far beyond the circles of experts. The German Design Award sets the highest standards when it comes to selecting its awardees: During the nomination process, the board of experts of the German Design Council considers only those product and communication design performances, which demonstrably differentiate by their design quality in the competition.